Cold weather meant our emergency winter response plan for people sleeping rough was again in effect on Friday and Saturday nights throughout the state. In the Adelaide CBD, the Westcare Centre, 11-19 Millers Court, was open on Friday and Saturday nights. Support was also available in regional centres including Port Augusta, Port Pirie, Whyalla, Ceduna, Coober Pedy, Port Lincoln, Mount Gambier and the Riverland. Local homelessness services in the regions provided outreach services and connected people sleeping rough to emergency accommodation and other supports. Outreach services like Street Crew in Adelaide were also out and about to provide additional support. Code Blue has been activated statewide for six of the first 10 nights in June. 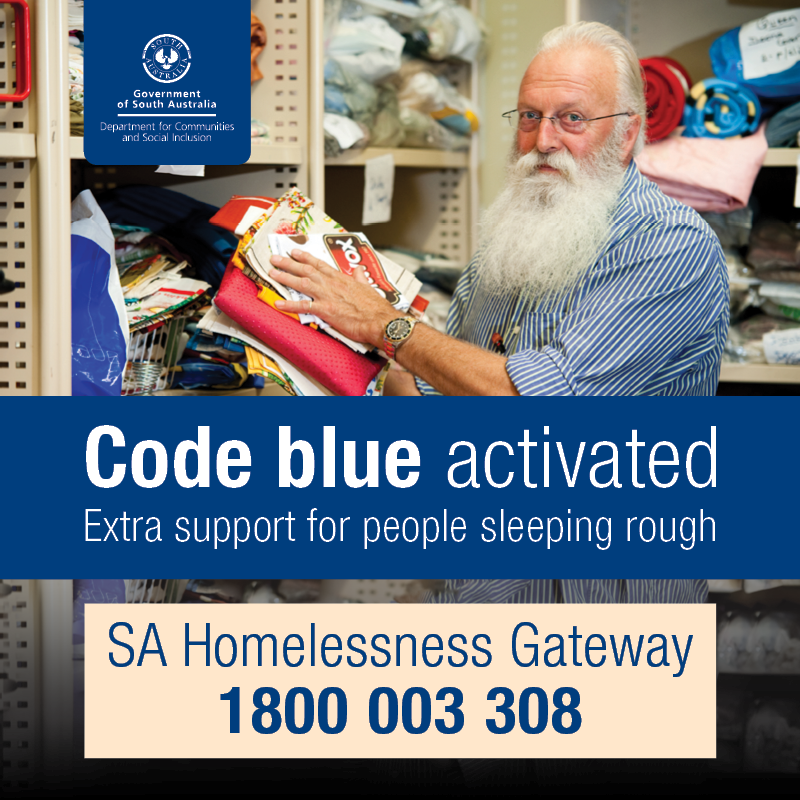 People who are sleeping rough, or people assisting them, can phone South Australia's Homelessness Gateway at any time on 1800 003 308.